Russell Senior is a man too smart to have ever been a pop star. And Pulp were too odd a band ever to have become so big. But we can only be grateful that he was, and they did – and that Freak Out the Squares tells the story in Russell’s inimitable, entertaining and fascinating way. In the first account of life inside Pulp, Russell recounts the band’s origins in Sheffield to their glory days at the height of Britpop, revealing the story behind the anthem of a generation, “Common People”. The book gives a glimpse into the world of Britpop luminaries such as Blur, Elastica and Suede and charts Pulp’s 2011 reunion tour, which culminated in a triumphant Glastonbury performance. 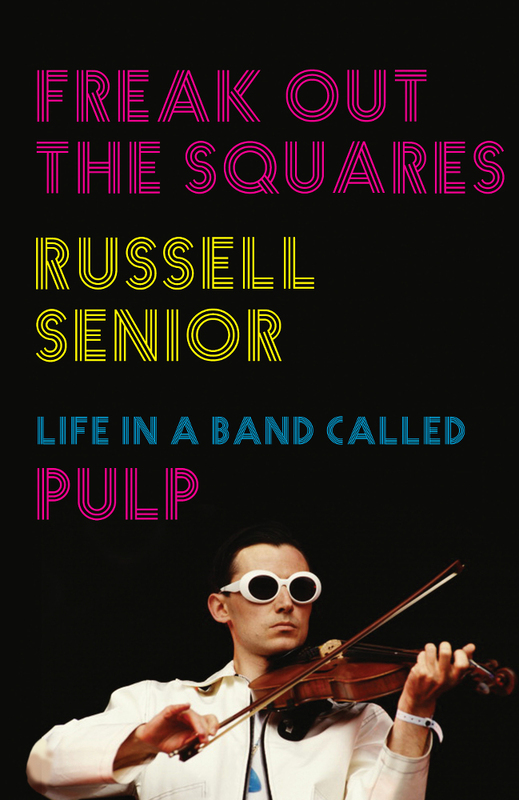 Freak Out the Squares is Russell’s exceptionally witty, unusual and enlightening account of the heady times being a key member of Britpop’s best-loved and most enduringly relevant band.